Visitors to the WNC Nature Center are treated to the playful antics of otters, up-close views of bears and wolves, and opportunities to learn about the region’s biodiversity of flora and fauna. Now all visitors will be welcomed with a new and improved entrance. Guests will now be able to enter the main grounds through the barn area where they can visit the new chicken habitat, Virginia the opossum, and more. Months in the making, a number of improvements were put in place to enhance the park’s entrance. Other big changes include handicapped parking spots and a ramp, sidewalks throughout the parking lot for safety, new guest restrooms, an events plaza, and new exhibits. The new entrance officially opens on Wednesday, September 12th, at 10:00 AM. 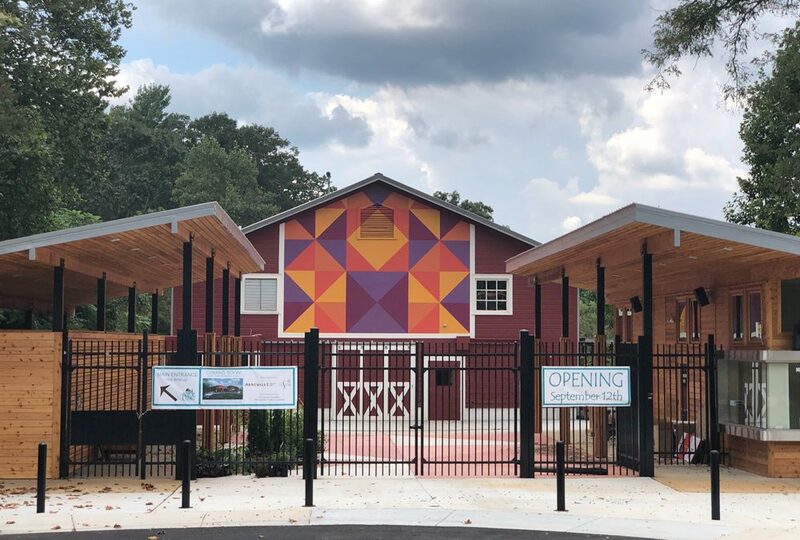 The first 50 families in the door will receive a free water bottle from the Friends of the WNC Nature Center to celebrate the opening of the new front entrance.